Ladies and Gentleman, the FDA wants to outlaw all dietary supplements formulated after 1994. This is an assault on our freedom to be healthy! At the end of this article I have the link to sign a petition, so let’s get into what this is all about. This means nearly all multivitamins, detox supplements, superfoods, and medicinal herbal products we depend on to prevent disease and boost our immune health could soon be outlawed across the country. 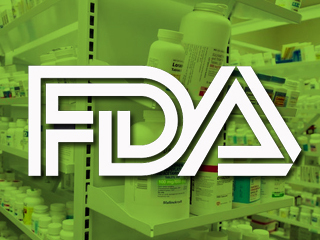 On July 1, the US Food and Drug Administration issued draft guidance for complying with the New Dietary Ingredient (NDI) notification protocols contained in the Dietary Supplement Health and Education Act (DSHEA). When DSHEA was enacted in 1994, supplement companies had little guidance of what counts as an NDI or how to send an NDI notification. Since 1994 the government has not enforced or selectively enforced the New Dietary Ingredient part of the legislation. So what happened is everyone moved on and thought nothing else of this issue for the past 17 years until congress passed the new Food Safety Bill (S.510). It turns out that they passed this bill late last year without even reading it. Well there was a provision that mandated the FDA into issuing these new guidelines. It looks like they are going to try and use every bit of this to get rid of natural supplements and line the pockets of Big Pharma. What Is The FDA Doing To Us? The FDA has a bit of a history of caving in to the corporate interests of “Big Pharma”. Though this is nothing new for most of us, there are still those that refuse to realize that there is way too much collusion and conflict of interest going on. Codex Alimentarius has recently been put into action in the EU and has already banned hundreds of herbal remedies. This is going to happen here if we do not take action now! Imagine how much Big Pharma will profit off of this scheme to outlaw the supplements that have been keeping us well for thousands of years. Make no mistake, this is what they are trying to implement. It has nothing to do with keeping anyone healthy. Healthy people do not make good customers! Please go to the Alliance For Natural Health’s website for more startling details about this and sign the petition that they have going. We all need to do our part and protect ourselves from what I can call nothing more than corporate fascism.